Yesterday we visited our go to store Best Buy - they are having huge sales this weekend. 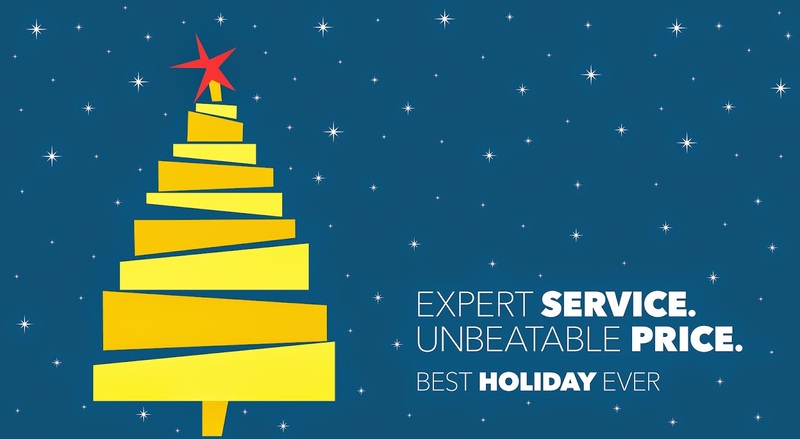 Every holiday season we are always able to find everyone on our list something fun and useful at Best Buy. While checking out possible gifts for our family, my hubby fell in love with the new OLED TV. He is the TV person at our house - he knows all the technical info about TV's. I know very little about pixels and all the TV facts - but I do know a beautiful picture and fantastic sound when I see and hear it. The new OLED TV has that. It is the clearest picture I have ever seen. AMAZING! 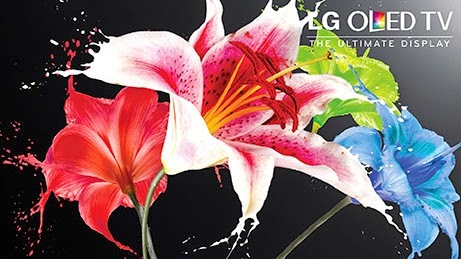 Check it out discover LG OLED TV – The Ultimate Display! You ask what is OLED TV? Do you love a Twitter Party? If so ...mark your calendar!!! Best Buy is hosting an LG OLED Twitter Party on December 4th at 7pm CST. Green and Glassie has been compensated in the form of a Best Buy Gift Card and/or received the product/service at a reduced price or for free. I want one of these in the WORST way. My husband are thinking maybe we will get one as our gift to each other for Christmas this year. We have been wanting to upgrade our family room tv. My husband has mentioned this one several times. Looks pretty awesome. You're not kidding about that! Talk about making Christmas special! I don't know much about TVs, but this one looks amazing. Thank you for sharing about the twitter party as well! hmmm. tempting... Trying to get a new tv. We haven't even upgraded to a flat screen. Should be our first choice!! I agree with Cousin Becky..so very tempting! We are toying with the idea of putting a t.v. in the "man cave" so we will have to look into this. A flat screen would be so nice to have and the color is amazing! We saw this TV recently too at Best Buy, and it is amazing! I usually am content with the television we currently have, but now I'm wanting the LG OLED! To be honest I haven't heard of this television before. We are looking to buy a new one so this might be the one we get. Thanks for this review. I just heard about this TV this week! I think we are going to check it out! This is awesome! The images are so crisp! I must tell my husband about it! We got to try these out in real life and they were so amazing!! LOVE how the picture looked! This looks like a great TV. My husband has been talking about getting a new TV so this is a great option. Thanks for the info about the Twitter party! Will definitely be tuning in for that! Thanks for sharing, I'm really out of the loop about all the new tech. I saw this and Love it. I have added it to my "I Want"list/. The LG Oled TV is on my wish list. If I needed a new TV, I would already have gotten it! This LG televisions sound amazing. I could use some ultra HD in my life. We are looking to upgade soon. Nice Review. I couldn't attend the in store event because I have been at back to back conferences for a full week through Sunday, but I really wanted to go! I would love an OLED 4K, I actually got to see the LG OLED's at a Press Preview Event last year and fell in love with them then! I love home audio! And my living room could definitely use an upgrade that's for sure! I definitely need to replace my old TV with this beauty. I still have the kind with those big giant heavy backs that stick out. We love shopping at best buy. Their products are always the best and they are very reliable. I've heard such good things now I want one! And that is rare I hate elcectionic shopping and I usually don't care! This is fantastic! Best buys always have the newest technology...they will definitely be on my Black Friday list! I saw the curved screen when we went to Best Buy over the weekend. It was pretty awesome. I love shopping at Best Buy. I find the customer service is fantastic. I need a new TV. I will have to go see this one in person. My husband keeps talking about these. Every time we go to Best Buy he stops to look at them. My husband and I love Best Buy! Thanks for sharing! I love Best Buy. They are my go to store for electronics. The LG OLED TV sounds amazing! I'm definitely going to try to make this Twitter Party! I so want a new TV. Sounds like a great TV that I need to check out at Best Buy. We have been looking into getting a new TV for our room. This one looks amazing, it is incredible how clear some of them are now. We could use a new tv! I'll have to check this one out! I heard about these recently and they seem just incredible. I would like to get something like this for my husband. We love buying and browsing at Best Buy, always a great selection and helpful staff. We want to upgrade the TV in our living room, since ours was recently broken by a 3-year old with Thor's hammer. An amazing gift indeed! We do a big family gift each year and a tv like that would be perfect! Thanks so much for the info on the OLED TVs. We've been looking at them, but haven't taken the next step yet! We already have giant flat panel in the living room. Hubs has been wanting to put one in the bedroom or in the basement! We have been talking about getting a new tv. I have to check this out. We bought a flat screen last year. But, this one makes ours look like it's made of concrete! I love how thin it is. We may have to add it to our luxury list for next year. I love a good twitter party and will be marking my calendar. Thanks! I want a new television too. We can always use a new tv. Would be nice for downstairs. This is amazing! The picture is just beautiful! This television looks amazing! If I were looking for a tv, this would be the one for us!